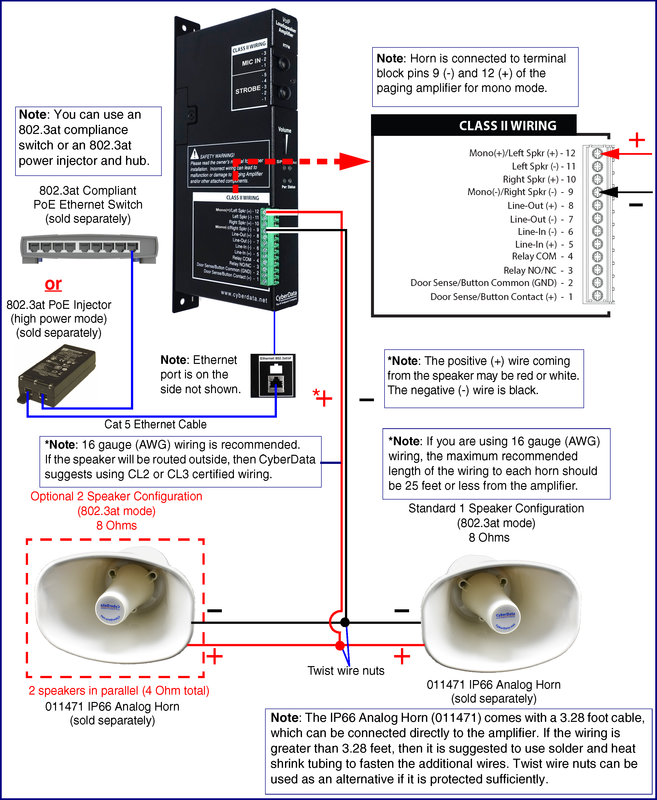 The InformaCast Enabled Paging Amplifier is a Power over Ethernet (PoE 802.3at) VoIP paging device and loud ringer for use in places that need loud paging. 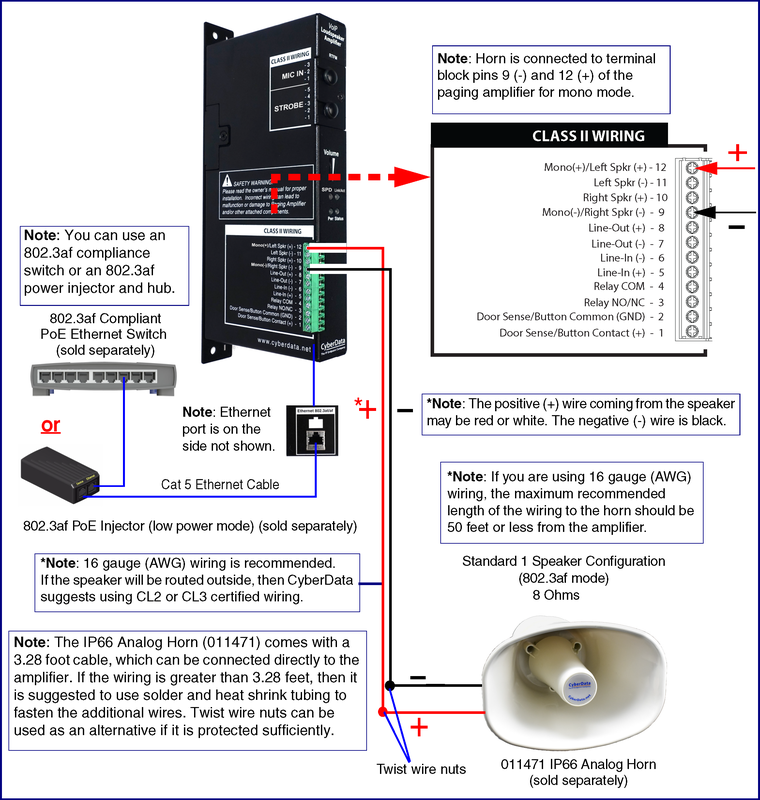 It provides an easy method for implementing an IP-based overhead paging system for your existing or new VoIP Phone system. 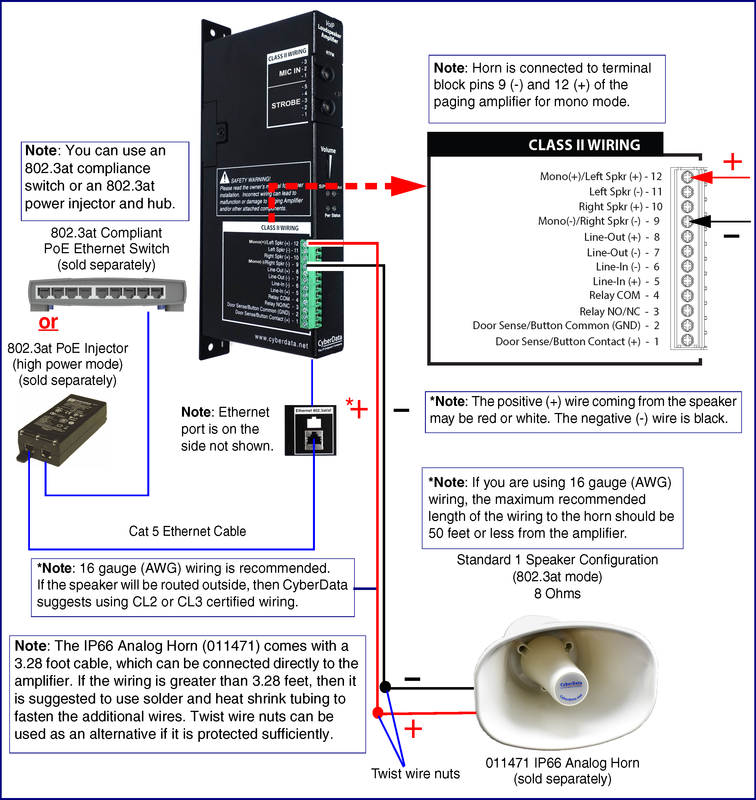 The InformaCast Enabled Paging Amplifier can have one or two IP66 Analog Horns (011471) attached. 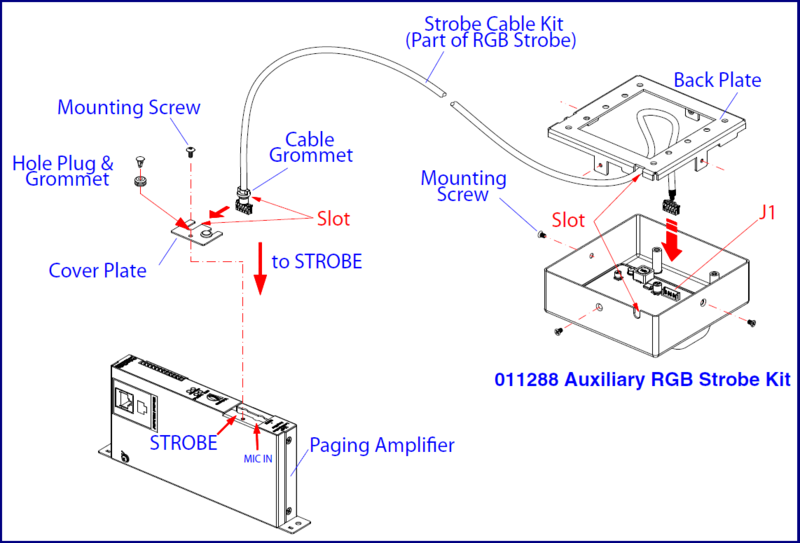 See more details in the Operations Guide or under the Installation tab of the product webpage. See the Operations Guide or the Features tab of the product webpage for a more comprehensive list of functions.